At a community roundtable about the future of public transportation in Cleveland Thursday, the president of the union representing transit operators called for the immediate ouster of RTA CEO and General Manager Joe Calabrese. "Joe has got to go," William Nix, president of the Amalgamated Transit Union, told Scene during a break in the roundtable's activities, reiterating public remarks he'd made. "We've got the only rail system in Ohio, and all we're doing is diminishing! If Joe wants to fire people, he should go. Let's fire them from the top down and start all over." 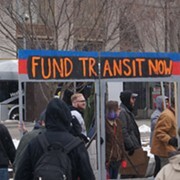 Nix said that ATU had the support of faith-based organizations and was ready to do the sort of door-knocking, grassroots work necessary to put a transit levy on the ballot in 2018 — a proposal put forward by the advocacy group Clevelanders for Public Transit (CPT), who hosted the roundtable — but that Calabrese had steadfastly refused. Calabrese has said that he intends to retire when his contract is up in 2020, but that's not soon enough for Nix. "If we want that levy," Nix said, "we've got to get rid of Joe. We need someone who can get money now." Newly appointed RTA board president and Westlake Mayor Dennis Clough left the event shortly before Nix's comments. But he, too, said that the transit agency's funding crisis was the most important issue in the coming months and years. "There are some very tough challenges ahead," Clough said. "It all comes down to funding. It really does. We'd love to continue to provide as much service as we could, if only we had as much money as we need. But we're not in that situation. We also want to make sure we do it right. We don't want a temporary fix. We want something that's going to be long-lasting. All these ideas need to be explored." He said that as board president, he would continue to listen to riders and seek public input in the hopes of coming up with "some sort of solution." "You can raise my taxes!" Exclaimed a rider in the audience as Clough departed. Cleveland City Councilwoman Phyllis Cleveland then spoke. She thanked CPT for its advocacy work and said that as a lifelong resident of the Central neighborhood, she understood that public transportation was a social justice issue. She knew that her constituents in Ward 5 — home to a third of the city's public housing units — depended on public transit day in and day out. And she said she agreed with Mayor Clough, except in one key respect. "We've got to find alternative or additional sources of funding," she said. "But [Clough] said we've got to find long-term solutions. Of course that's true. 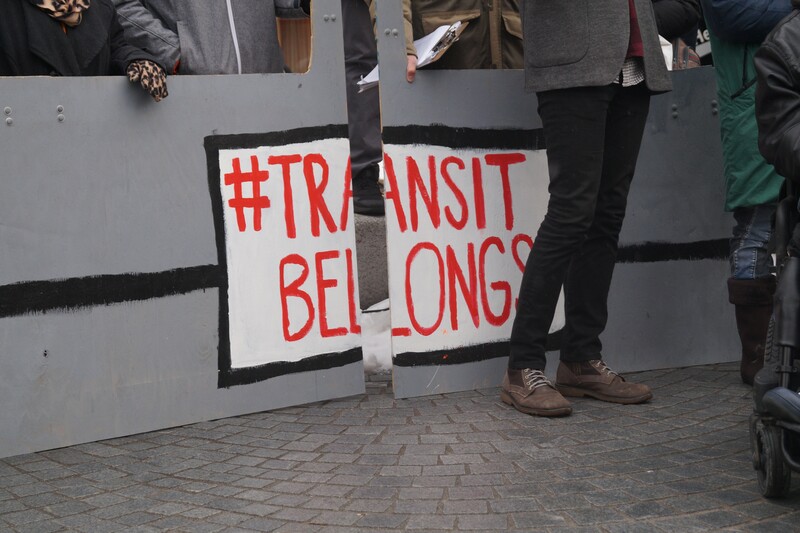 Public transit is central to a vibrant, thriving city and region. But we're facing a critical situation in the very near term, and we've got to find a way to deal with that. How does RTA balance its books? RTA has to balance, and the reality is, if there's not enough revenue, we're faced with drastic cuts." Cleveland voiced her support for a levy, and suggested that, as with the schools levy, an accountability element — perhaps a kind of watchdog commission — be baked into the levy's language so that taxpayers could be confident in how money was being spent. "This is a short-term crisis, and we need to come up with a viable solution now that will hold us until we get to that long-term solution," she said. Cleveland chairs City Council's transportation committee and said that while airport issues remain front and center, she's trying to make public transit more important. Ongoing advocacy from groups like CPT will be required for that to happen. "Quite frankly, it won't happen internally," she said. The RTA board has until August 6 to put forward a levy for the 2018 ballot. And even those on the board who support the idea are sensitive to the time frame. There are some, including board member Valarie McCall, who are opposed to a levy in 2018. She said at RTA's board meeting Tuesday that the agency must sort out internal issues before it asks voters for additional funding. McCall, Mayor Frank Jackson's Chief of Government and International Affairs, had sought the Presidency or Vice-Presidency of the RTA board but withdrew her name from consideration directly before the vote Tuesday, citing rancor and mistrust within the board. "I don't think we're taking the issues in front of us seriously," McCall said. "I don't think we should be in a position when one day we're on the same page and the next day we're not." As for riders, the predominant sentiment expressed Thursday was still one of frustration. 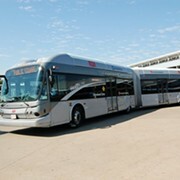 CPT is pleased with RTA's institution of quarterly public meetings to explain service changes. And they are relieved that an additional fare hike which was scheduled for this year has been postponed. But CPT feels strongly that a levy is required to fill a funding gap in the short-term, especially because the possibility of other sensible funding mechanisms have been foreclosed due to preemptive state legislation. Marvin Ranaldson, who chairs CPT's Fair Fares committee, lamented that a transportation district employer tax, a parking tax and a tax on transportation service companies like Uber and Lyft were all off the table.